Friday the 25th of February I went to a Pork Roast Barbecue fundraiser with some friends for AMSIF. It was from 4 to 7:30 p.m. I didn’t get to stay until the end but I managed to take some photos and gather information. AMSIF stands for Asociacion Mexicana para la Superacion Integral de la Familia. In English that means: Mexican Association for the growth of family union. 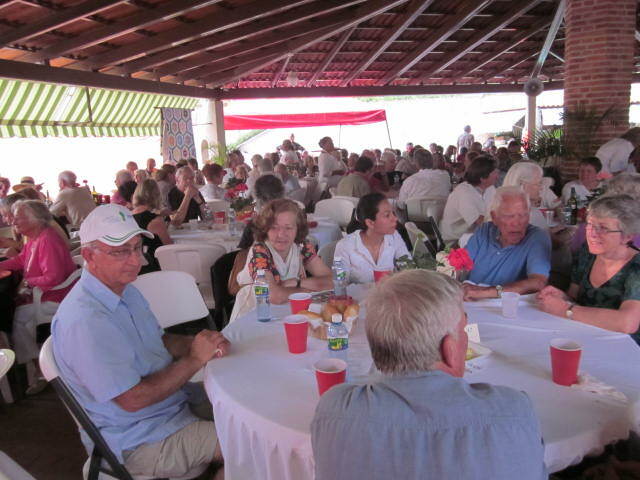 It was held at the Raquet Club House in San Juan Cosala. 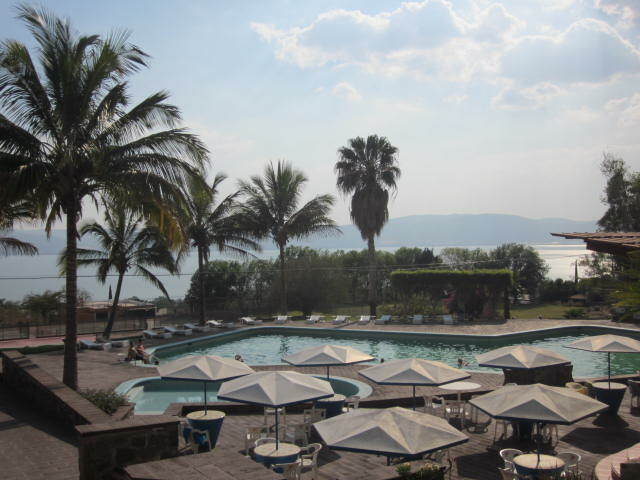 It is a lovely place with views of the lake and two pools. They are heated with the thermal water that comes down from the mountain. Unfortunately, they weren’t available for the Pork Roast fundraiser. Tickets were available at the entrance but most of the tickets had been sold in advance and tables were reserved. Tickets were $150 pesos each. AMSIF was founded 35 years ago on the 28th of October in 1973 in Mexico City. It has been active in the Lakeside area for 6 years. 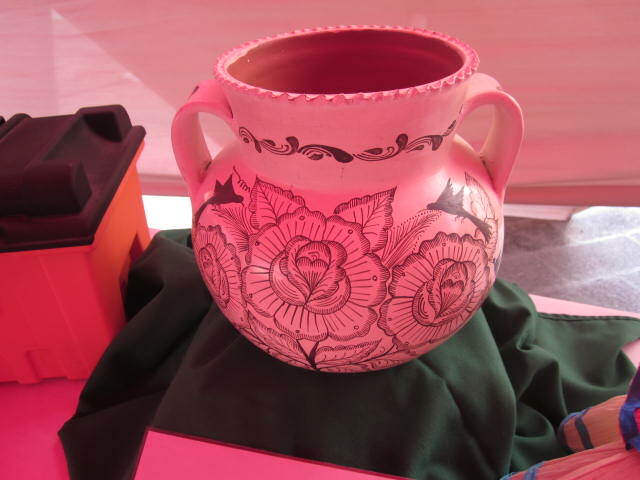 It is financed with individual donations, fund raising events and bazaars. It has received many recognitions and awards from various institutions for it’s excellent work in the past 35 years, transforming families through women. I was told that it is starting to grow in other countries too, including the United States. AMSIF Mission Statement: To recover and promote the dignity of women in the family and in their poor neighborhoods with programs that enable women to be self realized, through essential values that should exist in a person and her family. Thus promoting the dignity of a human being. The chairperson for the Pork Roast was Grace Holman. I wasn’t able to get her photo. She was extremely busy. It is their major fundraiser of the year and it takes a lot of work to plan it. They are probably already starting on next year’s roast. By the time we arrived the tables were full. I was glad that my friend, Stacey Hewitt, had reserved a table for us. There were 27 tables and 260 guests. Stacey was busy selling tickets. They had a 50/50 drawing. Tickets were 6 for 100 pesos. At the end of the afternoon a woman sitting close to me won that drawing and she was jumping up and down in her seat. 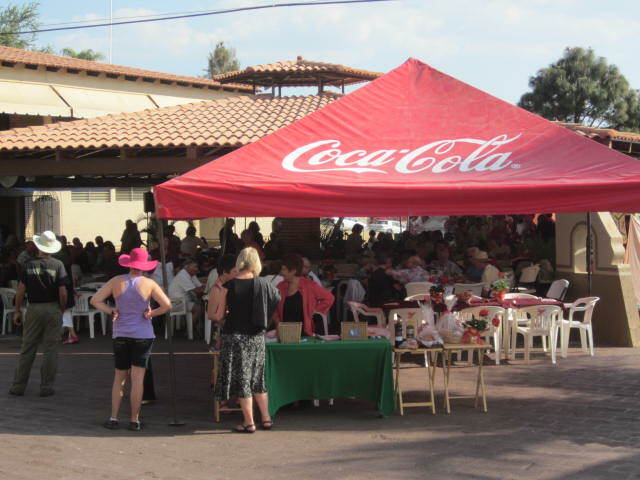 There was quite a lot of money involved; 3100 pesos went to the winner and 3100 pesos went to the organization. Jim and Ellen Ewing coordinated the silent auction and over a dozen volunteers helped with it. For weeks before this event, my friend Stacey had been a whirlwind of activity. She managed to get many donations of meals from local restaurants and other items. There were restaurant coupons for breakfasts, lunches and fancy dinners. 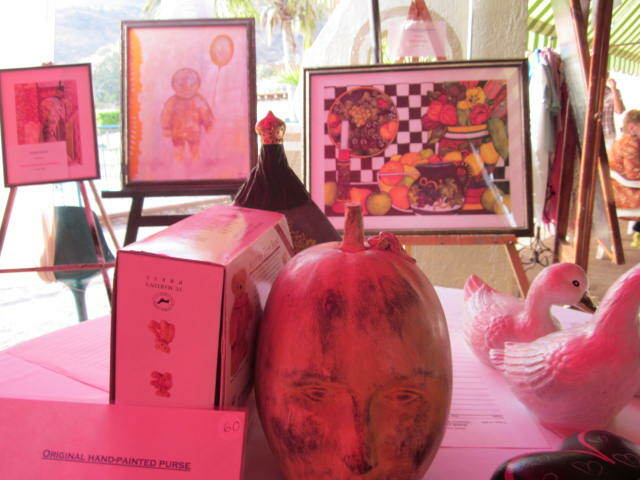 Artists had donated paintings and sculptures, pottery bowls and beautiful jewelry. There were day spas and mini vacations. There were over 170 items in the auction. Pedro’s GO restaurant donated the Pork Dinners. Pedro Palmer has been donating the food from the beginning of the pig roasts. His food was delicious. 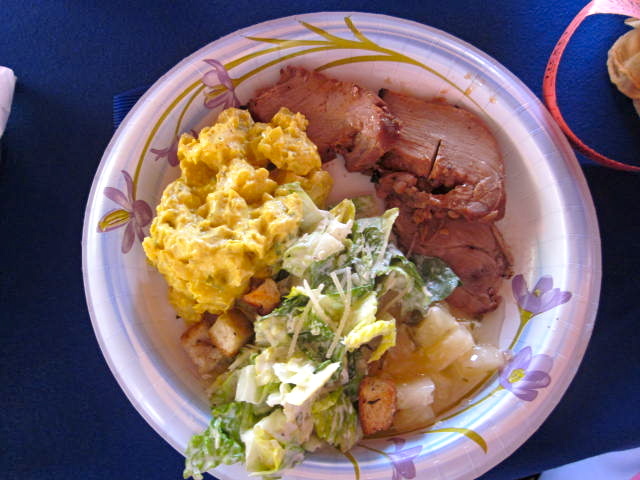 Roast Pork, Caesar Salad, Pineapple salad with fresh ginger and potato salad. Pedro’s GO restaurant is located at Emiliano Zapata #50. All his food is delicious and the views from the restaurant are spectacular. He is open Tuesday through Sunday at 6p.m. If you would like to make a reservation or have him cater for you, his number is: 045 333 502 6555. The desert was the best carrot cake I have ever eaten and that is my favorite kind of cake. La Antigua Bakery donated it. The women of AMSIF run that bakery. It is located in San Juan Cosala. It has tables in the garden where you can drink specialty coffees and eat their delicious bakery products. 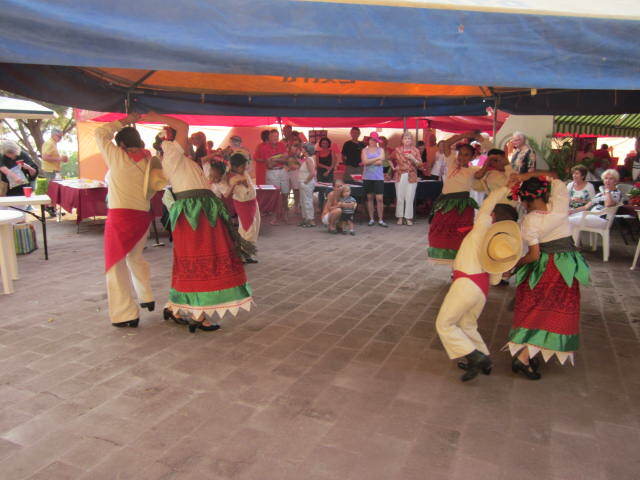 It is on the plaza on the main street in San Juan Cosala, Porfirio Diaz #15. It is opposite the Plaza. 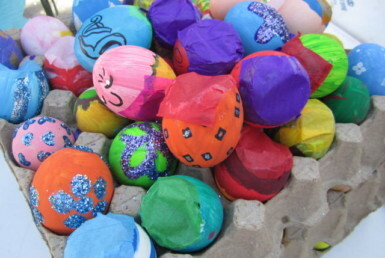 It is open Monday through Sunday, 10:00 – 3:00 and 5:00 – 9:00p.m. They cater lunches and early dinners. 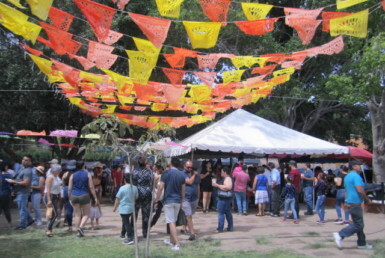 They make delicious empanadas, crapes and botanas, plus the desserts. 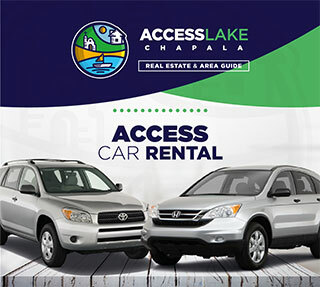 If you want to have them cater for you or if you want more information then call this number: 387 761 1094. I have been to one of their catered functions and it was excellent. The AMSIF center is also located at the same address. They have ongoing classes. 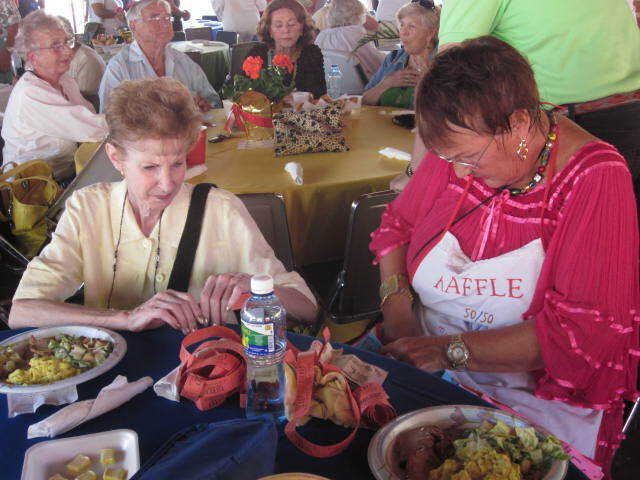 The young women involved in AMSIF served the meals at the pork roast and they worked hard. At six in the evening, after everyone had a chance to eat, the Children’s San Juan Cosala Folkloric Dance troupe came in and danced for us. I left before the band set up. They were called Los Higos de la Macarrona. I also missed the quilt raffle drawing. But I was tired. I had a chance to talk with two women who are very involved with AMSIF. 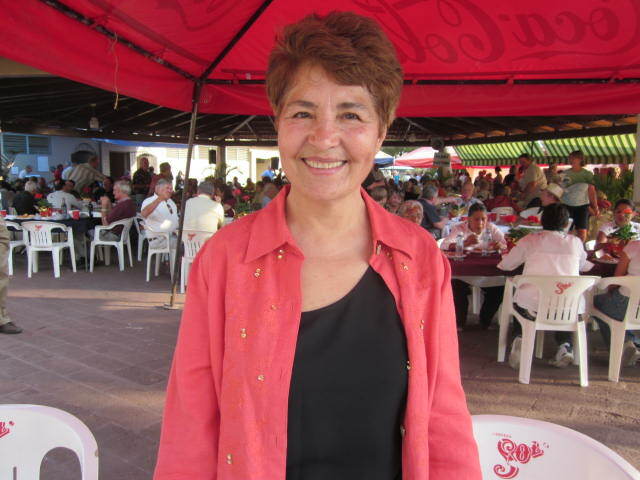 Blanca Garcia takes care of the children while the mothers take classes. 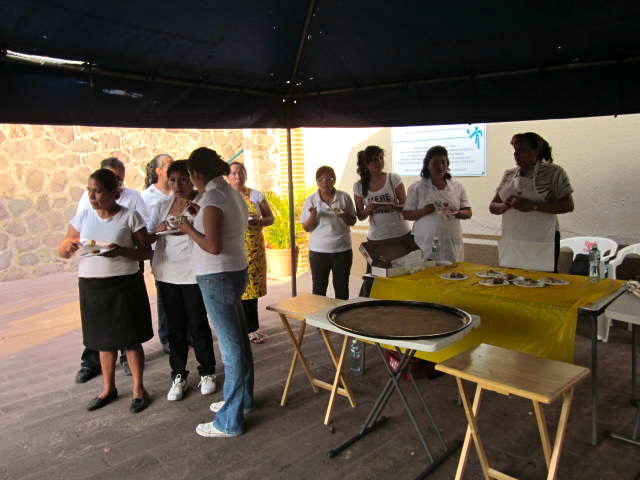 There are classes in sewing, cooking, baking, jewelry making and learning English. They also have a psychologist who comes in on a regular basis to help the women with their problems. Once a week they deliver 100 meals for the elderly. At Christmas time they deliver dinners to the poor families in the San Juan Cosala area. They also donate clothing to people. 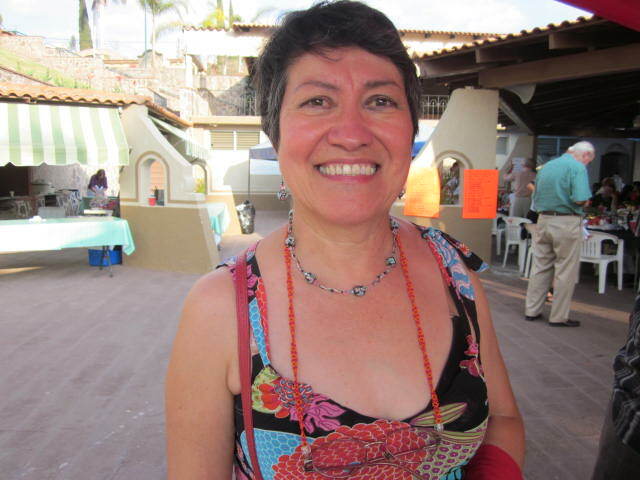 The second woman I was lucky enough to interview was Leticia Reyes. She told me that she was one of the teachers. After I talked with her, my friend Stacey told me that she was in charge of managing the entire organization in this area. She is much more than a teacher. She is beautiful, creative, smart AND modest! There is a four-day annual national conference that takes place in Culiacan starting this Monday. Leticia Reyes and Alicia Salcido are both going to it. These women are devoted to AMSIF. I have great respect for all of them. One day I want to make a trip out to their center and get more information and photos. I will write another article about it. There is a web site with information about AMSIF but it is only in Spanish. 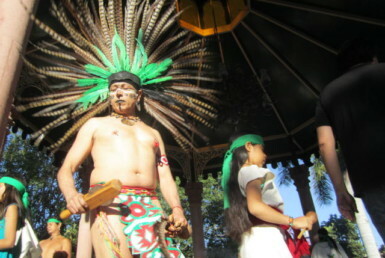 www.amsif.org.mx.